Memory pillow shape with soft padded cover. The pillow foam shape memory in practical and comfortable in all circumstances. 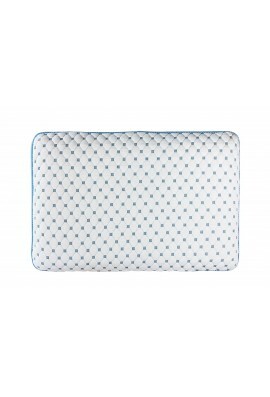 Shape memory pillow with quilted ticking Aero Blue Ventilation technology. The pillow Morning, new generation welcomes you with a new cotton velor ticking (with stars printing), more design. You will appreciate its memory foam density of 45 kg shape. Hyper ergonomic rectangular pillow with memory foam.